Complex environments typically have different instances running concurrently that interact. For example, for a single sales order can have several invoices and deliveries that all belong together. In such cases, it is unclear what the process instance is. 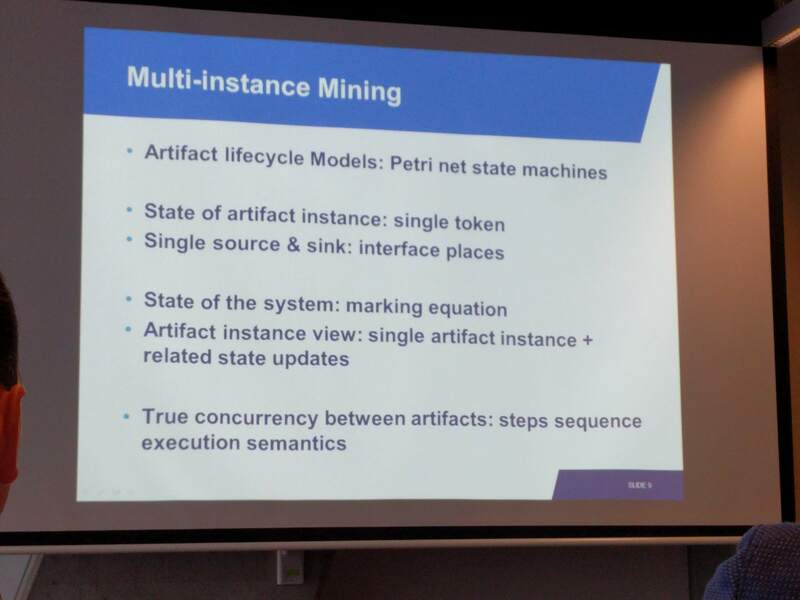 On top, you have the problem of divergence, which means that process instances might get intermingled when mining a process model for such complex environments. Traditional process discovery tend to hide artifact interaction, and require a clear case notion. Artifact-centric process mining tries to overcome these problems. In their initial approach with composite state machines (@BPM 2016), only one-to-one interactions were possible to mine. In this work, they extend interactions to many-to-many relations. On the data level, they assume that each event is related to a single artifact. The main assumption of the overall approach is that each artifact has a single state, i.e. a state-machine, and concurrency is by having the different artifacts running simultaneously. The state of an artifact is then a submarking. As a place may have multiple tokens, each token represents an artifact instance. Therefore, they use step semantics instead of interleaving semantics for Petri nets. 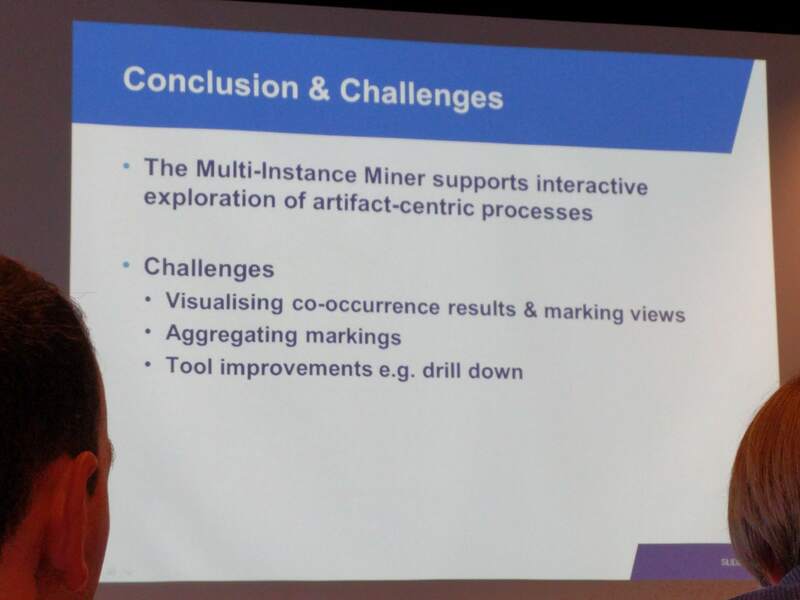 They implemented their approach in the multi-instance miner, and validated it on last year’s BPI challenge.